Centuries of farming have created the hedgerows and the countryside we know today. 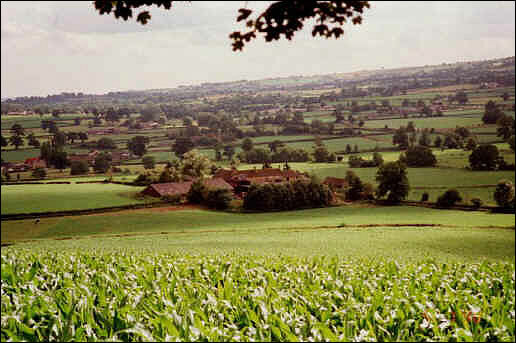 Generations of farmers have built and maintained field boundaries to retain livestock and to mark changes of ownership. Ancient species-rich hedgerows or large hedgerow trees or pollards may mark important boundaries such as those between parishes or large estates. Managing hedges is an integral part of farming practice. 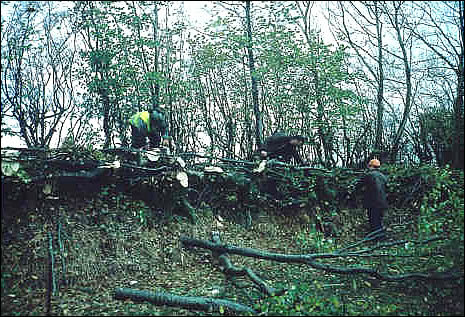 Regular trimming with the flail, or laying or coppicing to rejuvenate a weak hedge, is traditional winter farm work. All hedges require some form of management to prevent them becoming overgrown lines of trees. 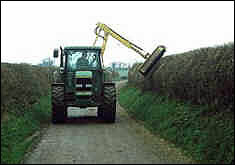 Well-maintained hedges usually have a greater value to wildlife and cause fewer farming problems than overgrown hedges. Most hedge shrubs will only produce blossom in the second year so annual cutting will decrease the amount of blossom in the spring and fruit in the autumn. It is now generally accepted that annual trimming, unless for road safety and visibility and power lines, is not ecologically beneficial. Annual cutting will lead to less blossom for butterflies and other insects, and less autumn fruit for birds and other farmland wildlife. The best time to trim, lay or coppice a hedge is November to February. Hedge management should never be undertaken while birds are nesting. 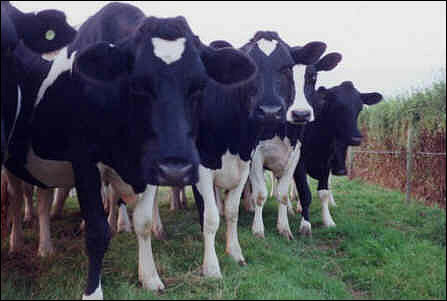 Well maintained hedges can provide valuable shelter and shade to livestock and protect crops from the weather. A thick hedge that filters the wind will increase in-field temperatures and reduce wind speed, benefiting both animals and growing crops. A thick hedge with a rough grass margin can also help to control crop pests. Ladybirds, carabid bettles and other beneficial insects will over winter in rough grass and in spring migrate into adjacent arable crops eating aphids and other crop pests. Perennial grass vegetation in the hedge base will also help suppress invasive annual weeds. Hedges and the countryside are part of an evolving landscape that changes to suit the farming needs of the time. Often unpopular with non-farmers, hedge removal to create large fields is usually carried out for good reason. The farming industry like any other must remain economically viable to survive.  Greater reliance on pesticides as natural predators are removed.